My name is Akekuna aka MC AK-NA. I recently performed at 'Reverberations of Laughter', a comedy show in Warri. After what was a rib-cracking experience by the audience, Comedy360, one of Warri's biggest comedy studios, offered me a production contract. After over 4 months of studio work, we finally produced an audio version titled 'MC AK-NA Laughlaff Season 1'. Few months after releasing season 1, it became a blockbuster. But one opportunist who calls himself Laff MC has come up with 'Laugh of Laughlaff' in audio CD. It contains most of my jokes. I didn't find this funny. As soon as I got Laff MC’s contacts, I told him he has infringed on my copyright. But he denied it, claiming that there was nothing like copyright over jokes. Are jokes not eligible for copyright protection? The answer is NO, jokes are eligible for copyright protection as long as they meet the conditions for copyright protection under the copyright law. Laff MC's publication and sale of 'Laugh of Laughlaff' containing the same jokes as yours amount to separate acts of copyright infringement, if 'MC AK-NA Laughlaff Season 1' meets the requirement of copyright protection. To enjoy copyright protection, a work must be eligible for it. Also, sufficient effort must have been expended on making the work to give it an original character and it must have been fixed in any definite medium of expression. This is in accordance with section 1(1) and (2) of the Nigerian Copyright Act. Works of comedy are jokes and sketches usually in form of amusing stories, thus amounting to literary works eligible for copyright protection. Because works of comedy are often treated—albeit erroneously—as works in the public domain right from the moment they are created, a definition of comedy is vital. According to the Oxford Dictionary, comedy, in this context, is "professional entertainment consisting of jokes and sketches, intended to make an audience laugh." These jokes and sketches are usually in form of amusing stories. It is a special type of performance which requires the comedian to entertain his or her audience by telling jokes that evoke laughter. These jokes could be in form of amusing stories in relation to current events or situations considered to be amusing. Comedy is an art that entails “acting, speech dynamics, artful timing and public speaking”. A comedy is a literary work. As defined in section 39 of the Nigerian Copyright Act, a 'literary work' includes "novels, stories, and poetic works" or "works similar thereto". Since comedies typically contain stories or similar works, they are literary works. And irrespective of literary quality, they are protected by copyright. Does MC AK-NA’s work meet the requirement of sufficient effort? For a work of comedy to enjoy copyright protection, section 1(2)(a) of the Nigerian Copyright Act requires that "sufficient effort has been expended on making the work to give it an original character". 'Sufficient effort' here is in relation to the labour, resources, and skill the author deployed in the making of a work. Apart from MC AK-NA’s artistic labour and skill, he has also worked with Comedy360, to produce, market, and distribute the audio CD of the work, after "over 4 months of studio work.” These are of considerable economic value and should meet the requirement of sufficient effort. But does the sufficient effort expended give the work original character? Sufficient effort is not an end in itself but a means to an end—originality. Therefore, to determine if 'MC AK-NA Laughlaff Season 1' enjoys copyright protection, each joke that is published in the CD must be assessed to determine whether MC AK-NA has expended sufficient effort on making the work to give each joke in the CD an original character. If the jokes or substantial part of any of the jokes in the CD are original, it enjoys copyright protection, subject to the fulfillment of other conditions for protection. But if otherwise, it does not enjoy copyright protection, and consequently, Laff MC or any other 'opportunist' can tell the same jokes, as many comedians often do. This is often the case with most jokes out there. How about the requirement of ‘fixation’, a copyright term which means reduction of an idea into a fixed medium of expression? Regarding fixation, this requirement is met as long as the allegedly infringed jokes had been "fixed in any definite medium of expression now known or later to be developed, from which it can be perceived, reproduced or otherwise communicated either directly or with the aid of any machine or device." This essentially means that in order for a work to enjoy copyright protection, it must be in a permanent form that is likely to be “reproduced or communicated for a period of more than transitory duration” for example a book, DVD, audio CD (like that of MC AK-NA), or other digital media. These media record the jokes in some tangible form that moves a work from idea to expression for copyright purposes. Since 'MC AK-NA Laughlaff Season 1' has been published in audio CD, this meets the definite-medium-of-expression requirement. If the 3 requirements above are determined in favour of MC AK-NA, Laff MC is liable for copyright infringement. By virtue of section 15(1)(a) of the Nigerian Copyright Act, “[c]opyright is infringed by any person who without the licence or authorisation of the owner of the copyright (a) does, or cause [sic] any other person to do an act, the doing of which is controlled by copyright.” Acts such as distribution, exhibition, importation, performance, and production are controlled by copyright. To boost the chances of proving copyright infringement, comedians may consider the Nigerian Copyright Commission’s (NCC) copyright-notification system. This ensures that proving copyright ownership of original jokes is less difficult. In Nigeria, the literary quality of a literary work is immaterial for the purpose of copyright protection. Literary quality of jokes and sketches that make up works of comedy does not determine copyright protection in Nigeria. What matters is that the comedian has given each joke original character which shows he or she must have expended sufficient effort in creating them. In some other jurisdictions, a minimal degree of creativity is required. Apart from copyright infringement, consider trademark issues. If you have registered 'MC AK-NA Laughlaff' or 'Laughlaff' as your trademark, you may consider suing for trademark infringement. If not, you will have to rely on a passing off action. Since 'MC AK-NA Laughlaff Season 1' has become so popular and Laff MC's 'Laugh of Laughlaff' is obviously trying to take advantage of the confusing similarity between both titles, this is a strong case for passing off. 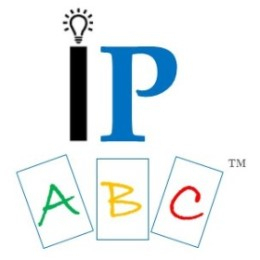 For professional advice and assistance, contact an IP lawyer or law firm. Follow-up questions, if any, are welcomed.